Benzodiazepines, sometimes called “benzos,” are psychoactive drugs used to treat anxiety disorders. Doctors may also use them to treat seizures, insomnia and alcohol withdrawal. Benzos include some of the most commonly prescribed medications in the United States, including Xanax and Valium. In fact, a 2016 study by the National Institute on Drug Abuse revealed that more than 30 million people take benzodiazepines every year, or about 12.5% of the adult population. Although safe and effective for short-term use, benzodiazepines are highly addictive. Doctors therefore rarely use them long-term. Recreational users also seek benzos to get “high” by mixing them with alcohol and other drugs, a potentially fatal combination. Recent U.S. survey data reveals that up to 20% of people taking benzodiazepines misuse them. The widespread availability of benzos and risks of abuse make these important drugs to understand. 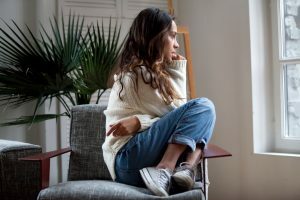 In this guide, we’ll explore everything you need to know about these drugs, including how they affect you and when to seek treatment. Benzodiazepines enhance the effect of the gamma-aminobutyric acid (GABA) neurotransmitter in the brain, leading to feelings of relaxation, sedation and reduced anxiety. As the brain’s natural “calming agent,” the GABA neurotransmitter reduces activity in the neurons that cause anxiety or overactivity. Benzodiazepines bind to these neural communicators, amplifying their natural effect and slowing down brain activity. In the short-term, this leads to the intended effect: reduced anxiety or overactivity, as in the case of seizures. Over time, however, physical dependence may develop, which is why the FDA cautions against long-term use. Doctors use diazepam, sold as Valium, to manage short-term symptoms of anxiety disorders, tremors related to alcohol withdrawal, and muscle spasms related to neurological disorders, such as cerebral palsy. The DEA has made diazepam a Schedule IV controlled substance because users may become addicted with prolonged use. Sold under the popular brand name Xanax, alprazolam treats anxiety, panic attacks, insomnia, and less commonly, muscle spasms. The most commonly prescribed benzodiazepine, in many recent years Xanax has also been the country’s most-prescribed psychotropic medication. Primarily used to manage symptoms of alcohol withdrawal, chlordiazepoxide (sold as Librium) is also used to manage symptoms of anxiety, such as before surgery. Less commonly, doctors prescribe it to manage symptoms of anxiety disorders. Because of its longer half-life, chlordiazepoxide is less susceptible to abuse than alprazolam, but users are no less susceptible to addiction or withdrawal symptoms after prolonged use. Clonazepam is a powerful drug commonly used to treat seizure disorders, such as Lennox-Gastaut syndrome, a severe form of childhood-onset epilepsy. Doctors also use it to treat acute anxiety and panic disorders, although such use should be carefully monitored to avoid unintended physical dependence. 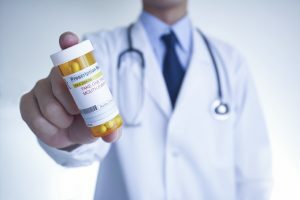 Although safe for short-term relief, benzodiazepines are highly addictive — and unfortunately, a doctor’s directive isn’t always enough to stop physical dependence. When prescribing benzos for acute occurrences, such as for panic disorders, doctors sometimes direct clients to take “as needed,” which can soon lead to unintended misuse. Indeed, some clients may not realize their dependence until they experience withdrawal symptoms. These may include nausea, heart palpitations, sweating, tremors, panic attack and sleep disruption. Symptoms can occur within a day of discontinuation and last for weeks. Overdose is also a rising concern. Fatalities directly caused by benzodiazepines have jumped from 1,135 deaths in 1999 to 10,684 in 2016. Alarmingly, 30% of drug-related deaths involved these prescription drugs in 2013, the most recent year for which statistics are available. The biggest risk of overdose occurred when users mixed benzodiazepines with other drugs. Nearly 75% of deaths also involved opioids, but other drugs, including alcohol, can prove lethal as well. Treatment starts with a detox plan to safely manage physical withdrawal symptoms. Once stable, clients begin behavioral therapy and counseling. For example, they might start cognitive behavioral therapy (CBT) to develop healthy coping mechanisms for managing anxiety. Some clients may benefit from family therapy. Others will thrive in group therapy. Successful programs will tailor treatment to each client. At Sprout, we understand that every client is different. We therefore personalize every treatment program. We start with a personalized assessment of your medical and psychological history. Then we create a plan that works for you. Our supportive, experienced clinicians support you through every phase of recovery. If you or a loved one struggles with dependence on benzodiazepines, call us to discuss how we can help you take the first step. Prescription drugs are FDA approved and medically prescribed treatments for illnesses, infections, deficits and disorders.